Assistance Systems - OTT-JAKOB | Advanced Machine & Engineering Co. 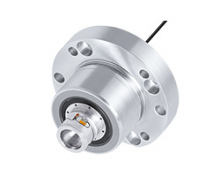 This electronic distance measurement system, which monitors the position of the tool, combines analogue sensor electronics with a limit switch and, thanks to its compact design, can be integrated into OTT-JAKOB's unclamping units. 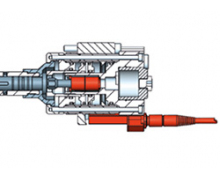 OTT-JAKOB condition monitoring systems for rotary unions identify potential sources of disruptions and prevent unscheduled machine downtime. 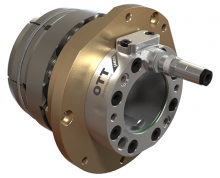 The OTT-JAKOB KAS system continuously monitors the position of the unclamped piston. KAS ensures that the release piston does not come into contact with rotating machine elements during the machining process. The sensor system PLANKO from OTT-JAKOB is an end face monitoring system for machining processes. Using extremely high-frequency radar electronic components, its patented measuring technology can measure direct distances to the micrometer. 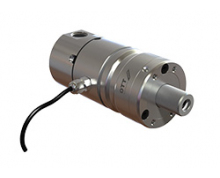 GAUS from OTT-JAKOB is a modular telemetry system designed to monitor tension, temperature and vibrations in rotating components. 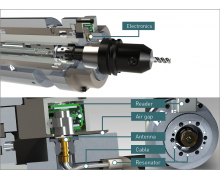 Monitoring these parameters can lead to high machining quality in the manufacturing process and long-term operational reliability for the spindle.